During the time of Charles V, plays were written and performed by amateur literary and acting societies known as chambers of rhetoric. Members of the chambers saw themselves not only as entertainers, but as religious and cultural leaders, and on the strength of this sense of mission became the most influential performers of vernacular drama in the Low Countries. Gary Waite examines the social and religious messages of the plays presented, showing how they promoted or opposed calls for reform, religious and otherwise. Presenting an overview of some eighty surviving scripts from across the Low Countries, Waite considers the culture and drama of two distinct urban communities in particular: Antwerp and Amsterdam. 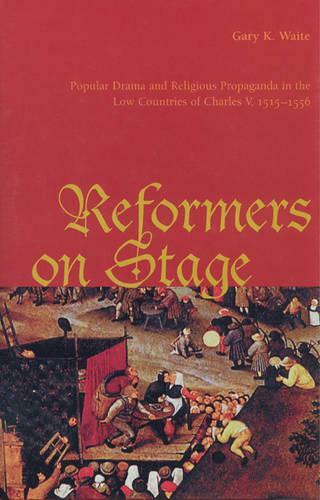 He argues that the dramatists promoted a wide range of reform perspectives, but in so doing they reshaped reform ideas to accommodate their own concerns as urban artisans and merchants. In the end, despite their desire for peace, they contributed significantly to the rise of anticlerical sentiment and reform aspirations and to increasing dissatisfaction with Habsburg rule. Offering perspectives gleaned from primary material that is available only in sixteenth-century Dutch, this study adds significantly to existing scholarship on the local ramifications of the Reformation in the Low Countries.